If you’re looking to create a tasty homebrew, all you truly need is water, good yeast, and some quality grains. But as your skills grow and your interests expand, you’ll be hard pressed to resist the siren’s song of experimentation. Adding spices to beer is one of the simplest and most rewarding ways to mix things up. Maybe you want to add crisp notes of citrus or rich vanilla sweetness. Maybe you want a uniquely spicy finish with hints of chile and lime. Or maybe you’re just looking to improve shelf life. The only limits are your palate and the seasonings at your disposal. Done properly, crafting homebrew with herbs and spices can transform your good beer into something truly special. Whether you prefer extract brewing or all grain brewing, adding spices to beer requires a delicate touch. Your goal is to capture the essence of the herbs and spices you’re using, without overwhelming the basic taste, mouthfeel, and finish of your homebrew. Not every herb or spice is right for every—or even any—beer recipe. Consider the flavor profile you’d like set for your beer, and build your recipe accordingly. Note: The word herb generally refers to the leafy parts of a plant. If it’s not a leaf, or didn’t start out as one, then it’s probably a spice. A good example of this difference comes from a single plant. Coriander leaves make up the herb we call cilantro, but the seeds of the same plant are dried and ground to become coriander—a spice. Spices are like cacao pods or coffee beans. Not because we hoard them in case we’re ever sent back in time and have to use them as currency, but because they have to be crushed or ground to release their flavor. Also like coffee beans, crushing or grinding right before adding spices to your beer will give it the best flavor. The fastest and easiest way to reduce your botanical additions to powder is with a spice grinder If you click this link and make a purchase, we earn a commission at no additional cost to you. . 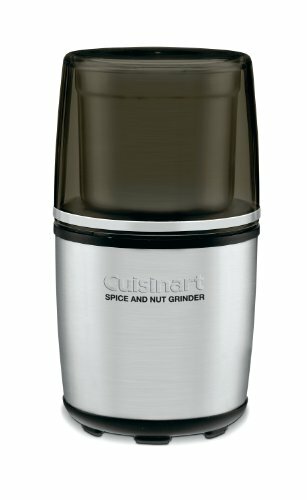 If you don’t have a spice grinder, or you’d rather have a small appliance that does double duty, a coffee grinder If you click this link and make a purchase, we earn a commission at no additional cost to you. will work just as well. No grinder? No problem. A mortar and pestle If you click this link and make a purchase, we earn a commission at no additional cost to you. can do the trick. Or you can drop your plant-based flavor bombs into a bag and smash them with a rolling pin If you click this link and make a purchase, we earn a commission at no additional cost to you. until you reach the desired consistency. The more finely you grind your spices, the harder they’ll be to filter out. If you want a clear brew, keep things on the coarse side. If you can’t find fresh, whole versions of your preferred spices, you can absolutely use store-bought ground or diced versions. Keep in mind that superfine spice powders and are tough to filter out, and may not have as much flavor as their fresh counterparts. When it comes to herbs, the fresher, the better. If you don’t have access to fresh herbs, dried herbs work fine, as long as they’re not too old. Time robs herbs of flavor and strength. That five-year-old rosemary in your spice cabinet needs to hit the circular file, not your brew. Unlike spices, dried herbs may have a much stronger flavor than fresh due to being concentrated. They will likely lack some of the more delicate notes that come with fresh herbs, but make sure you adjust your recipe to account for the stronger flavors that do remain. The best way to quickly and easily separate herb leaves from their stems is with an herb stripper. You can also cut the leave with herb scissors If you click this link and make a purchase, we earn a commission at no additional cost to you. , if desired. Just don’t cut them too small, or they’ll be difficult to filter out. Quantity: How Much Is Too Much? It’s almost too easy to ruin a beer by adding too many herbs and spices. As a general rule, calculate how much you think will do the trick, then cut that amount in half. Precision is, as with most aspects of brewing, very important. 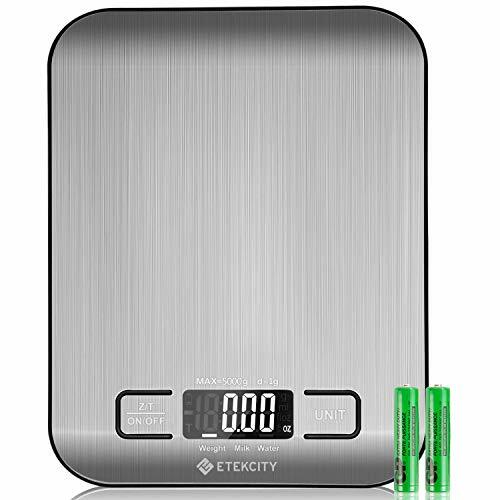 Use a brewing scale to measure exactly how much you add, and keep track of exactly when you add your specialty ingredients. Not only will this help you avoid unwanted flavors, it’ll make it much easier to replicate (or adjust) your recipe in the future. If you brew up a batch of flavored beer and find the resulting flavors are too subtle, you can always add more to your next batch. Better to hunt for that “hint o’ mint” than to try to pass off your latest lager as an experimental mouthwash. Grassy, vegetal, floral, or minty, herbs give your homebrew a taste of nature’s bounty. The same bright, flavorful leaves that make your chicken tandoori such a hit at the potluck can work their magic just as well on your five-star homebrew. Thai basil, orange balsam thyme, cilantro, and pineapple sage give you a fruity, verdant kick that’s perfect for light, crisp brews. Rosemary provide astringency and brightness that pairs well with the bitterness of hops. Skip the tea pot and add lemon verbena, kaffir lime leaves, or lemongrass to your homebrew for a straight-up shot of citrus goodness that’ll make your hops pop. Easy there, Merlin Olsen. Jamming a Pick-Me-Up bouquet into your mash tun probably isn’t going to win you any fans. But florals like lavender, chamomile, and rosehips do bring a uniquely delicate flavor to the mix that can help a light beer shine. They’re crisp, refreshing, and bright, but use them sparingly. Too much of a good thing can leave you with a soapy-tasting brew. Before hops rose to prominence as the preferred method for adding astringency to beer, a mixture of herbs known as gruit was king. This particular gruit isn’t doesn’t guard the galaxy and isn’t voiced by Vin Diesel, but it does contain a blend of tasty herbs perfect for adding flavor and bitterness to ales. Traditional gruit is made up of bog myrtle, yarrow, and wild rosemary, but you can create whatever blend of botanicals you like. You can supplement your hops with gruit, or replace them altogether. Crushed, ground, powdered, or whole, spices bring complex flavors and can add heat, creaminess, and bite to your beer. Why should Starbucks have all the fun? Reclaim your favorite holiday flavors. Cinnamon, ginger, nutmeg, and cloves add cheery warmth and sweetness to beer. Cardamom and anise can add a hint of exotic flavor as well as heat. Any or all of these friendly palate pleasers will shine in a holiday brew. Consider adding coriander for a nutty, warming addition that boosts citrus notes in hops or other herbs and spices. Other winter spices, like orange peel, vanilla, and sage, can brighten up summertime brews, especially if you’re adding fruit as well. A hint of pine or spruce can add crisp freshness and elevate your homebrew to snow-mantled peaks of flavor. Spruce tips and juniper berries add piney flavor and bitterness in spades, and can enhance, or even replace, hops. Savvy homebrewers have been making beer with spruce since the age of Vikings. Put a little zing in your brew with these spicy flavors. Habanero and jalapeño chiles, black pepper, and even hot sauces can provide a surprising and satisfying zing. Use a multi-pepper blend to really turn up the heat, or pair your chiles with chocolate and fruit to create a complex and tasty confection. A chocolate-cherry stout with a dash of chile might be the addition your Taco Tuesday’s been waiting for. Found on dining tables around the world, salt is rarely used in beer. But if you’re getting fancy with a sour beer like a gose, a Flanders red, or a lambic, a pinch or two might be just what the doctor ordered. Paired with coriander or caraway, a dash of salt can enhance their flavors and provide a clean, elegant finish. Herbs, Spices, and Hops—Oh, My! When you’re crafting homebrew with herbs and spices, dial the hops back a notch or two to let your new additions shine. Choose your hops to complement, not overwhelm or clash with, your herbs and spices. Strong, citrusy herbs, for example, pair well with winter spices and citrus herbs like lemongrass or verbena. Hops with a strong piney or rosemary note can be replaced or supplemented with spruce tips or rosemary, or elevated with contrasting notes of citrus. 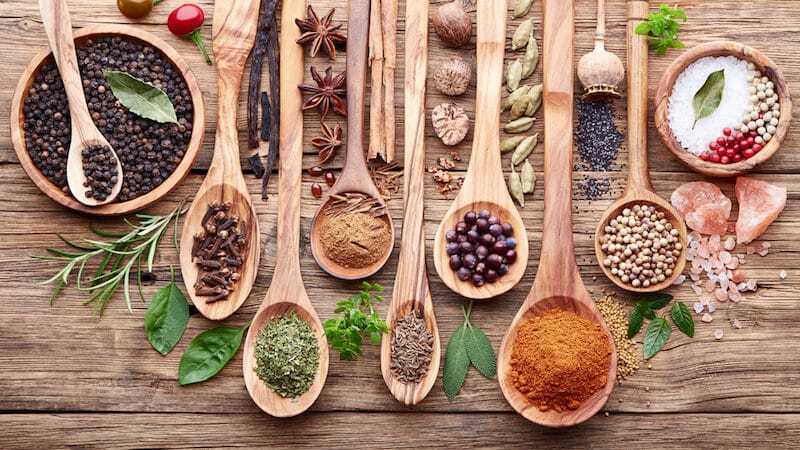 Note that herbs and spices designed to replace hops altogether provide unique flavors, bitterness and astringency, as well as antimicrobial properties, to your beer. Rosemary, spruce, and gruit are three examples of herbs and spices you can use with or without hops. Like hops, herbs and spices can contribute aroma, flavor, or both aroma and flavor. And, like hops, deciding when to add your herbs and spices to your homebrew influences how much aroma and/or flavor they impart. If you’re working with an existing recipe, add your herbs and spices as instructed. But if you’re experimenting, your goals for your finished homebrew will dictate how and when the your botanicals go into the mix. As with hops, the earlier you add herbs and spices, the more flavor you’ll get, at the expense of aroma. If flavor’s what matters most to you, add your herbs and spices at the half-hour mark. If you want more aroma, add them toward the end of the boil. Some harder spices, like cinnamon and black pepper, require more boiling to extract their flavor, so you’ll need to add them earlier in the boil. Delicate herbs like basil or cilantro, on the other hand, impart their flavors more quickly, and should be added in the last few minutes or at flameout. You can also add herbs and spices to your homebrew during your secondary fermentation. Delicate herbs like sweetgrass or chamomile are perfect for the secondary, since their delicate aromas vanish during a boil. Whoops. You forgot to add your herbs and spices during your boil and during secondary fermentation. Don’t sweat it. You can add botanical flavors even while you’re bottling beer. Fire up your kettle and make a “tea” by boiling your herbs and spices in water until you reach the concentration you’re after. Make the tea part of your priming solution, or add it to the bottle along with your priming sugar of choice. Bye-bye, boring brews. Adding spices to beer is easy when you take the time to craft your recipe, choose the right blend for your homebrew, and add them at the right time. What are you waiting for? Head out to the garden or swing by the supermarket. A whole new world of creative and satisfying flavor blends awaits.